Q. I m 5.2, is it comfortable for me or how can i adjust the seat height? Yeah ofcourse, I am of 6.2 am riding yamaha........ it's very comfortable. Q. I'm 5.6 ft, is FZ-FI or FZ S FI V3 suitable for me? Yes, these bikes will be comfortable for you. However, we would suggest you take a test ride of the bike as this is the best way to judge your riding comfort. Q. Is FZ S Fi ABS V3 available in one disc and one drum brakes? In FZ S Fi V3 single-channel ABS is available and it is equipped with disc brakes at both the ends. DUAL DISK BREAK WITH SINGLE CHANNEL ABS ONLY ON FRONT WHEEL SAME IS WITH GIXXER TOO BUT FZS IS MORE COMFORTABLE FOR LONG RIDES WITH COMPANION ALSO CAN SIT FOR LONG VERY COMFORTABLY. Q. Does this bike is good for long drive every day? Does it give any shoulder pain? Q. Is the new FZ V3 is BSVI? After 2018 govt.norms all the vehicle has to be updated on BSIV. Thought, It is on BSIV now but its ready for BSVI as well. Q. Is this bike suitable for a person of height 6ft and 3 inches, What are the other options in this segment suitable for tall rider? Q. Is FZ-S FI version 3 best in its segment? Q. Hi how is the performance and style of bike? Q. Which is best between FZ S V3 and Pulsar 150? Q. Which bike is better FZ-S Fi Version 3.0 or Gixxer, for long riding and economically? Q. How much engine oil should I use on the first service of my Yamaha FZ-S V3? The engine oil capacity required for the Yamaha FZ-S Fi Version 3.0 is 1.20litre. Q. Is it value for money? Q. WHICH BIKE IS BEST FZS V2 OR FZS V3? Q. I'm planning to buy a bike. Which one will be better? V15 power up or Yamaha FZ-S? Q. Which one is good to buy TVS Apache 160 4V, Yahama FZ or FZ S Fi V3 and Honda Unicorn in terms of look, mileage, resale value and power. Q. Which is best Apache RTR 160 4V or fZ S FI V3? Between these two bikes, our pick will be TVS Apache RTR 160 4V as it is known for its quick handling dynamics and rev-happy engine, the TVS Apache is one fun-to-ride motorcycle in its class. Q. How long can I attempt in a single ride? Q. How is the long term reliability? Q. Which have long seat height Glamour or FZ S V3? Q. I'm 6.2 and 80 kg is the bike suitable for me? No bhai go for some heavy bike like classic or thunder bird. Very good experience & excellent performance & great mileage. Q. What is the price of Yamaha FZ-S Fi Version 3.0? Q. What is the mileage of Yamaha FZ-S Fi Version 3.0? Q. What are the specs and features of Yamaha FZ-S Fi Version 3.0? Q. What are the top competitors of Yamaha FZ-S Fi Version 3.0? Q. 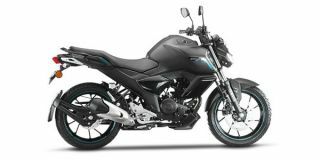 What are the top variants of Yamaha FZ-S Fi Version 3.0? Q. What is the EMI of Yamaha FZ-S Fi Version 3.0? Q. What are the colours available in Yamaha FZ-S Fi Version 3.0? Q. What is the top speed of Yamaha FZ-S Fi Version 3.0? 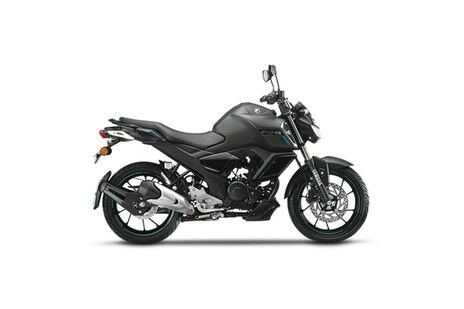 Confused about Yamaha FZ-S Fi Version 3.0?